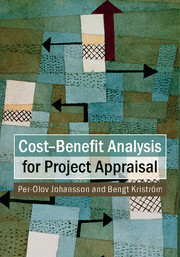 Cost-Benefit Analysis provides accessible, comprehensive, authoritative, and practical treatments of the protocols for assessing the relative efficiency of public policies. 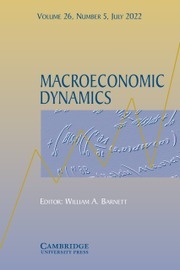 Its review of essential concepts from microeconomics, and its sophisticated treatment of important topics with minimal use of mathematics helps students from a variety of backgrounds build solid conceptual foundations. It provides thorough treatments of time discounting, dealing with contingent uncertainty using expected surpluses and option prices, taking account of parameter uncertainties using Monte Carlo simulation and other types of sensitivity analyses, revealed preference approaches, stated preference methods including contingent valuation, and other related methods. 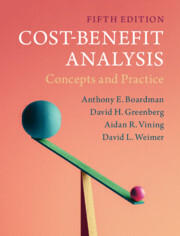 Updated to cover contemporary research, this edition is considerably reorganized to aid in student and practitioner understanding, and includes eight new cases to demonstrate the actual practice of cost-benefit analysis. 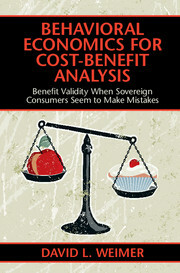 Widely cited, it is recognized as an authoritative source on cost-benefit analysis. Illustrations, exhibits, chapter exercises, and case studies help students master concepts and develop craft skills. 20. How accurate is CBA? Anthony E. Boardman is a professor at the University of British Columbia, Vancouver. With colleagues, he has won the Peter Larkin Award, the Alan Blizzard Award, the John Vanderkamp prize, and the J. E. Hodgetts Award. He has also been a consultant to many leading public sector and private sector organisations, including the Government of Canada and the Inter-American Development Bank. He served two terms on the Patented Medicine Prices Review Board and is currently on the Board of the Institute for Health System Transformation and Sustainability. David H. Greenberg is Professor Emeritus of Economics at the University of Maryland, Baltimore County (UMBC). He is a labor economist and cost-benefit analyst who received his Ph.D. at Massachusetts Institute of Technology. Before coming to UMBC, he worked for the Rand Corporation, SRI International, and the US Department of Health and Human Services. He has taught courses in cost-benefit analysis at the University of Wisconsin-Madison, George Washington University, Budapest University of Economic Science, and the Central European University, Budapest. He is a long time consultant to MDRC, Abt Associates and other research organizations. Aidan R. Vining is the CNABS Professor of Business and Government Relations at Simon Fraser University, British Columbia. With co-authors, he is a winner of the John Vanderkamp prize (Canadian Economics Association) and the J. E. Hodgetts Award (Institute of Public Administration of Canada). With David Weimer, he is the co-author of Policy Analysis; Concepts and Practice (2017). David L. Weimer is the Edwin E. Witte Professor of Political Economy at the University of Wisconsin, Madison. He was president of the Association for Public Policy Analysis and Management in 2006 and president of the Society for Benefit-Cost Analysis in 2013. He is a past editor of the Journal of Policy Analysis and Management and currently serves on many editorial boards. He is also a Fellow of the National Academy of Public Administration.